Vulpith is a full-fledged freelance platform which enables clients to get most eligible freelancers who can cater to almost every industry. Clients who are looking for service through our platform enjoy advanced data protection, timely delivery, and quality, without paying any extra charges for posting projects or cancellation. We have provisions to protect both freelancers and clients with dual- layer security, escrow payment methods and cloud workspace for data protection on our platform. We believe in connecting client and freelancers through a secure process to help them carry out their work. If in case the service provider leaves the project in the middle for any personal reasons, you are surely in trouble. We understand the issues that you might face during such situations. It is indeed a huge disappointment when you had great expectations from the freelancer whom you chose to complete your project. In most of the freelance sites, there have been incidents where the freelancer disappears and does not respond to the client’s messages. The only benefit that the client gets during such circumstances is that they get the refund. At Vulpith we believe in providing value to client’s money and we manage to complete the pending work with the help of experts. We will not charge excess of the agreed project budget and thus the experienced professionals work within the given project budget. Although we cannot guarantee to deliver the work in the initial time-frame you agreed with your freelancer, but we can ensure that you will get the work completed as early as possible. To opt for this service, you need to select “Delivery Assurance” option while posting the project and the assurance fee is 10% of the project fee. Like insurance, this delivery assurance fee can protect you from the possible trouble during the project against successful delivery. We will review the project scope and budget and check if these are reasonable or not. If we found unreasonable, we will not accept your request and we will refund assurance fee to your account balance. We ensure, advanced data protection in our platform as we want all our clients and freelancers to have a secure work environment. Loss of data can affect the projects intensely, and hence we include it in our priority list. At Vulpith we don’t charge you anything for posting the project. All you need to deposit is the amount required to be paid to the freelancers. In fact, our services are free of cost, unless you wish to go for upgrading the services or opt for one of our advanced services, like insuring your project. Any service which is paid is refundable if we fail to deliver as we promised. At Vulpith you have a choice to post a single project in a domain or multiple projects from different domains. Usually, multiple projects can be handled only by companies as they will have an in-house team for handling different responsibilities. If you don’t wish to hire an agency you can choose to hire different freelancers as per the need of the projects. We believe in giving you more options rather than setting specified rules for hiring. It is possible to post the projects privately and this will keep the project hidden from every freelancer, except the one you choose to work with. This means that you can expose the details to only the selected freelancers, resulting in bids only by invitation. We offer you filters based on your customized requirement. For instance, if you are looking for a digital marketer for enhancing your local SEO, it is wise to hire someone from the same locality or city. This will help in getting the job completed with more value and perfection. If you need a freelancer who will fit in your budget, you should go for rate-based filtering. Very few freelancing sites have the provisions to let the client know the percentage of similarity in the requirement and skill set of the freelancer. This will help you in the decision-making process before hiring the candidate. Before making the decision of hiring a freelancer, you can always compare and later shortlist conveniently on our platform. This will help you in finding the right freelancer to award your project. We also have filters to choose whether you need a freelancer or a company to finish your project. We recommend you use this filter wisely based on factors like the number of different requirements, deadline and skill set. At Vulpith you can choose multiple milestones, up to 30, and this can be decided after a discussion with the freelancer depending on your delivery timelines. It is possible to hire different freelancers for the same project by dividing the task into different terms. These terms are based on your confidence on freelancers, whom you choose to hire, and their abilities & skills. 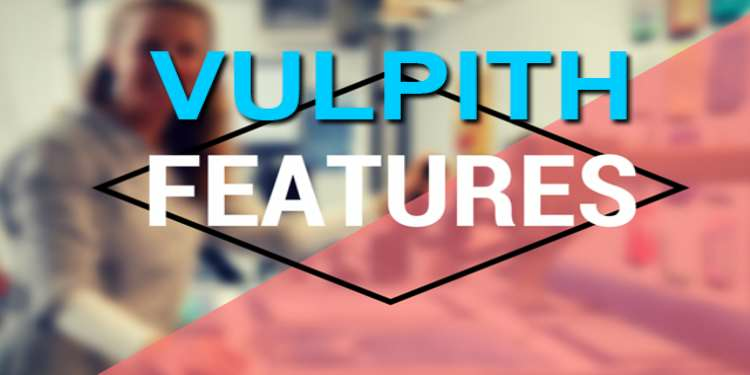 Vulpith is a very flexible platform, and hence you can change the chosen freelancer at any point of time by simply adding, modifying or even canceling # of freelancers before you award the project. Later, you can fix the milestones based on your confidence in the selected freelancers. At Vulpith, we perform multiple verifications on the initial level for our freelancers. The basic level of verification is free, and you need to go for paid services for advanced verifications based on your need. This helps the clients to verify if the freelancer can be trusted with their work. After successfully completing these steps they are titled as ‘Level-X Authenticated’ freelancers of Vulpith. This system is beneficial for clients as it is an indication that they are in safe hands and they do not need to not worry before assigning any project through our website. 2. Cloud workspace (DaaS) What is DaaS? There is hardly any freelance website which helps in creating a comprehensive workspace for both clients and freelancers to ensure the progress of work. This indeed adds more value to your projects, and no other competitive freelance sites has this system. We ensure that the virtual work environment protects your confidential data, irrespective of the location of the service provider/freelancer. Desktop as a Service (DaaS) is a very intriguing proposition. It is the virtualization of a personal computer or desktop, we call that desktop a Cloud Workspace. It is essentially accessing a dedicated and persistent desktop, assigned to any individual employee / freelancer from anywhere and at any time. The cloud workspace is accessible from a remote desktop connection or through a browser window or through a local application on either Mac, PC, Android. This means that the employee can work from one computer, then leave that device, and continue their work at another location on a completely different device. This brings a whole level of convenience and productivity that isn’t possible with conventional desktops. This keeps Vulpith different from others freelance sites in providing high-end security and a worry-free virtual work environment. We strictly follow this method for the benefit of both parties as it ensures the security of money. For clients, it is feasible to follow an escrow payment method as they can be sure that they are paying for the work once they receive it with complete value for their money. The money is released to the freelancer only if the client is satisfied with the outcome in terms of quality and perfection. Although we have professional freelancers in all the different domains, we want our clients to feel safe about the money that they deposit for the projects. At Vulpith, we believe transparency is the key to successful collaboration, and it leads to a smooth transaction which can quickly build the trust between the one who seeks service and one who provides it. Another, important thing to consider is that you can opt for working with Cloud Workspace. We recommend hiring our integrated Cloud workspaces only if the project budget is over 500 USD since hiring Cloud workspace costs you extra. The cost is depending on what configuration and software you choose/need. How does an Escrow protection work? Once the client hires a freelancer or an agency, he/she can discuss and plan the project to create the milestones accordingly. After making the deposit for the first milestone, the freelancer/agency starts the project and later submits the work within the allotted time. Subsequently, the client reviews the project in a “Review Only Mode”, and the work cannot be downloaded till the deposited payment gets released. Later the freelancer uploads the documents which are confirmed by the client and then the freelancer gets paid. This helps in maintaining the interest towards the project from both sides.